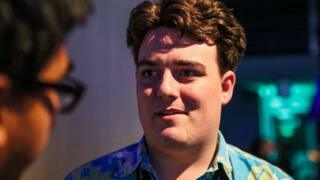 Former Facebook employee and Oculus co-founder Palmer Luckey is helping to repair VR headsets free of charge. Long-term users of Facebook's Oculus headset have complained about audio loss in one or both earpieces. Despite leaving the company in 2017, Mr Luckey is offering to ship his custom repair kit to gamers who aren't able to get their headsets replaced by Oculus. He says the kit is designed to make it easy for "the average PC gamer" to repair the virtual reality headset. Facebook acquired Oculus VR in 2014 for a reported $2bn (£1.55bn). Its Oculus Rift headsets, which cost £349 and went on sale 2016, give players an immersive gaming experience. Mr Luckey wrote in a blog post that although Oculus customer service had offered to replace Rifts that were under warranty, audio cutout was more likely to affect users "well outside" the warranty period. And gamers who aren't eligible for a headset replacement from Oculus can now forward their correspondence to Mr Luckey to receive a free Rift Repair One (RR1) kit. "The people who have been using their headsets for years on end tend to be among the most engaged, most valuable users who dump tons of money into the content ecosystem," Mr Luckey wrote. "I feel bad for people who bought a Rift from me and can't use it properly anymore." The 26-year-old said that the RR1 kit had taken him three hours to build but "a bit longer" to test on broken headsets, which he had begun buying from community members last summer. The kit could also serve as a third-party headphone adaptor, he added, but he had no plans to distribute it for that purpose.